This section provides an overview of how graphics, words and phrases associated with the Gold Coast 2018 Commonwealth Games may and may not be used. 1. Why the need to protect the brand? The Gold Coast 2018 Commonwealth Games Corporation (‘GOLDOC’) respects the law and the intellectual property ('IP') of others and asks that you do the same. The effective protection of the Gold Coast 2018 Commonwealth Games references and images is fundamental in the process of marketing the Commonwealth Games, the successful attraction of sponsors and the development of the commercial programme leading up to and for the event. The financing of the Games is drawn from public funding or through sponsors that are offered an exclusive association with the Gold Coast 2018 Commonwealth Games. The extent to which sponsors can rely on the exclusivity of their rights will have an impact on revenue and therefore protecting and enforcing IP is essential to maintaining the viability of ours and future Games as a major international sporting event.  The purpose of legal protection is to ensure there is no unauthorised association between people, goods or services and Gold Coast 2018 Commonwealth Games to maintain the future viability of the Games. It is also important to ensure that “the brand” is managed as to ensure it maintains high levels of community support. 2. Who is allowed to use the Commonwealth Games’ trademarks? The official commercial partners, sponsors, suppliers and licensees of the Gold Coast 2018 Commonwealth Games will be allowed to use references and images in accordance with the terms of their agreements. 3. Can I use the Commonwealth Games’ intellectual property in my business or on my website? GOLDOC owns all the IP rights in the words, marks, text, images, photographs, videos, audio, graphics of the Commonwealth Games to the full extent possible under the intellectual property laws of Australia which may include legislative protection and other countries. You may not use any of the Commonwealth Games names, emblems / logos, pictures or trademarks in your business or on your website. The commercial use of the Games’ marks, emblems or logos or other IP is only permitted with the written authorisation of GOLDOC. Editorial use is permitted for genuine news reporting by bona-fide media organisations. Rights Holders (e.g. official sponsors and broadcasters) and GOLDOC are the only parties who can use IP in any advertising, marketing or promotional material (e.g. a poster for a sponsored event; an event where any goods and services are sold or in the creation of items or products for sale (e.g. a t-shirt or mug). It is also unlawful to engage in misleading or deceptive conduct under the Australian Consumer Law or passing off at common law so that the public is or is likely to be lead to confusion. Any unauthorised use for commercial purposes of the Commonwealth Games’ IP is a violation of GOLDOC’s IP rights. Please contact GOLDOC should you wish to obtain information on your proposed activities. 4. Why is my support important? We ask for your support in protecting the IP of the Gold Coast 2018 Commonwealth Games and your understanding of its importance.  The Gold Coast 2018 Commonwealth Games are a major investment by the state of Queensland and its partners. Community awareness of the significance of protecting the Commonwealth Games’ IP helps us to prevent marketing, advertising or promotional activities which harm this iconic sporting event through implying unauthorised associations or sponsorship of or with the Commonwealth Games without approval. 5. What specifically is prohibited use of the intellectual property of the Commonwealth Games? You cannot create or imply an association with the Commonwealth Games through the use of its protected IP, for example, the use of its phrase or imagery without permission. You cannot put on events or produce printed materials or otherwise distribute publications on the Internet which focus on the Gold Coast 2018 Commonwealth Games without permission. You cannot exploit the interest in the Games by holding events or producing publications for commercial or marketing purposes. You cannot brand or market an event, activity or program using a combination of ‘Commonwealth Games’ and ‘2018’ or produce merchandise or promotional items that bear the Games emblem, imagery, indicia or other Games’ references. You cannot brand a product or services as a combination of ‘Commonwealth Games’ and ‘2018’ so as to create an identity that associates itself as part of the brand. For example, using a protected trade mark as a sign or mark to state or imply that you are the supplier of that good or service or the impression you are associated with the Games. You cannot use any of the content at gc2018.com, goldoc.com, or similar, or any of the IP there such as trademarks, copyrighted material, designs or other imagery unless you have obtained written authorisation from GOLDOC. You can, however, provide a link to gc2018.com or goldoc.com without permission. 6. What is permitted-use of the intellectual property of the Commonwealth Games? You can provide relevant and factual information. For example, refer people to official sources of information at gc2018.com. If you wish to provide specialist or factual information on your website which is not included on our websites, please make it clear that such information including any opinions expressed or advice is authored or comes from you and is not official Gold Coast 2018 Commonwealth Games content.  Editorial use is permitted for non-commercial purposes, for example, in a newspaper or magazine article, blog or website or in a non-commercial presentation. Factual or descriptive statements are permitted and convey information or merely describes the goods or services that are used in conjunction with (or their function, purpose or use), for example, a statement such as ‘The Carrara Stadium will be the main venue for the Opening Ceremony and the Closing Ceremony of the Gold Coast 2018 Commonwealth Games’. 7. Can I register a domain name using the Commonwealth Games’ marks?  You cannot use the Games' marks in domain names to create an association with the Commonwealth Games. As the term “Commonwealth Games” and parts thereof are owned by GOLDOC and the Commonwealth Games Federation. 8. What is your website linking policy? You may create a link to gc2018.com and goldoc.com in accordance with our linking policy. You may not use official Games trademarks, logos, emblems or imagery as an icon to link your website to gc2018.com. 9. What is the responsibility of suppliers? Gold Coast 2018 Commonwealth Games suppliers are restricted contractually from marketing, advertising or undertaking other promotional activities around their work on the Commonwealth Games and must adhere to any confidentiality agreements. Guidelines are included at the time of contracting. IP refers to proprietary knowledge where something new or original is developed and can exist in different forms such as a trademark, invention, design or copyright. IP rights are conferred through the laws that countries have to protect ideas and inventions to allow creators or owners of IP to benefit from their creation or work. 11. Why are intellectual property rights important? IP rights are conferred through the laws that countries have to protect ideas and inventions to allow creators or owners of IP to benefit from their creation or work. They encourage creativity and reward innovation. The promotion and protection of intellectual property rights encourages economic growth, creates new jobs and industries. The progress of humanity depends on its capacity to create works. They legally protect the rights of creators and producers of intellectual goods and services to encourage further invention. They discourage potential infringers and act as a deterrent. They represent a valuable business asset. 12. What laws protect our intellectual property? 13. What legal rights does the law give the owners of intellectual property rights? 14. What is “ambush marketing” or “parasite marketing”? To engage in “ambush marketing” or “parasite marketing” is to mislead the public into thinking that you are an authorised sponsor or have an official connection to the event. It happens when a person or business tries to advertise its products or services in connection with a large sporting event without paying any money and they are not an official sponsor. Special regulations will control advertising and trading in open spaces around our venues during the Gold Coast 2018 Commonwealth Games. They will make it unlawful to trade or advertise in defined zones unless authorised. These terms are not comprehensive and must not be relied on as legal advice. You must seek specific legal advice relevant to your circumstances.